Storz - Brian Enos's Forums... Maku mozo! Limited Major. 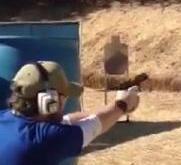 My last experience shooting USPSA back in 2012 I was shooting limited minor with a Glock. Is there any factory 38 Super ammo that makes major? Thanks guys, what are my options for a more aggressive set of grips? shhh... wanna know a secret? I thought I remember a batch of the small frame guns coming in just a few years ago. I'll look into the Lim Pro though it is most likely going to be outside of my price range. Are the small frame 9mm Witness steel guns still being imported? Part number? Glock 17 which generation 2 buy? Just ordered one, will update when I get it!